Ben provides knowledge and value to his clients while exemplifying the utmost standards of professionalism and integrity. One of his areas of expertise is working with families that have a dependent with special needs. Ben received his Bachelor of Science with a concentration in finance and a double minor in Communications and Legal Studies from Bryant University in Smithfield, RI. He is a resident of Griswold, CT and enjoys spending his free time with family and friends. 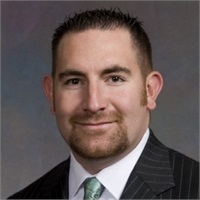 He is a member of several industry associations including Million Dollar Round Table (Quarter of the Table), the National Association of Insurance and Financial Advisors and has earned his Certified Advisor for Senior Living designation. The products and services he offers include Life Insurance, Disability Income Insurance, Long Term Care Insurance, Retirement Planning, Estate Planning, Education Funding Strategies, Investment Strategies and Special Needs Planning. 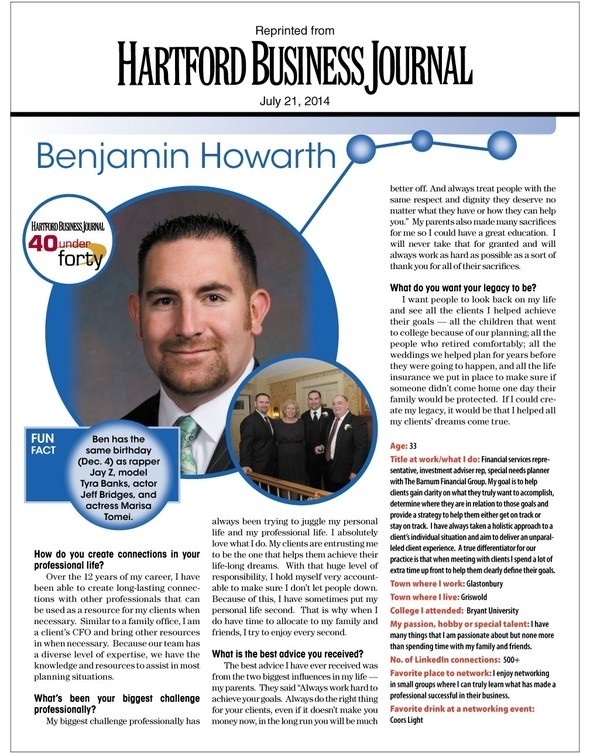 Ben wins CT 40 Under Forty Recognition for 2014 in the Hartford Business Journal.